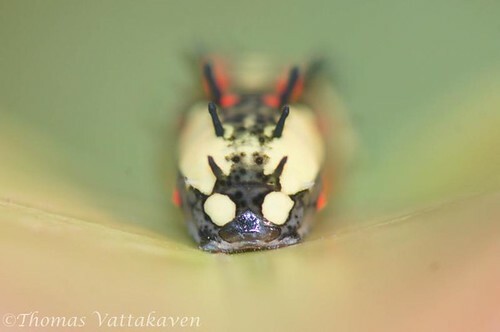 A recent visit back to Karimannoor gave me a quick opportunity to get some images of this Common Mime (Papilio clytia)caterpillar. 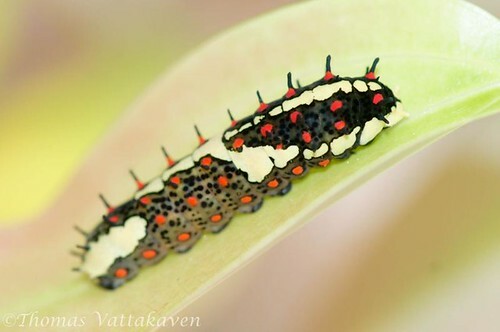 The larva is among the most handsome of the Papilio species. The body has a black base colour, with a lot of black spots, inconspicuously blended in. There are two fleshy protuberances on segments 1-4 (above- front view), while the other segments have only one each (below-back view). 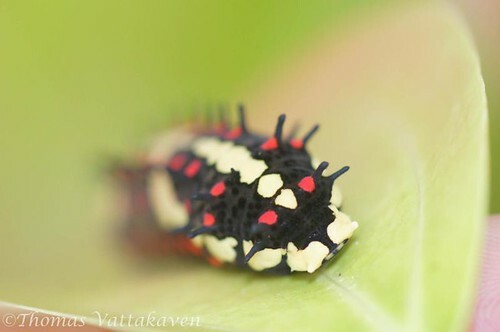 At the base of the protuberance are a row of crimson spots and the body also has creamy yellow patches. 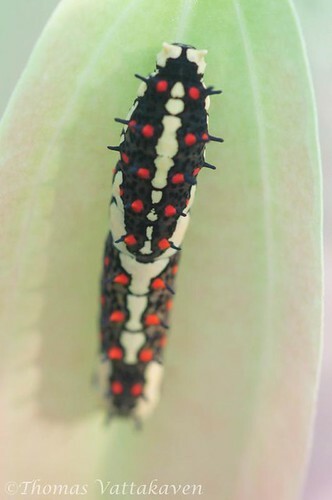 It is only in the 5th and last moult (Instar) that the caterpillar begins to appear so colourful. It is quite dull prior to this. 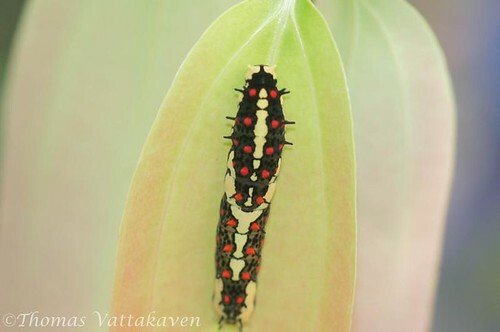 The larvae goes on to make itself a cocoon which is a remarkable form of mimicry. It exactly resembles a dead twig. unfortunately I don't have images of that now, but I hope I will in a future post.